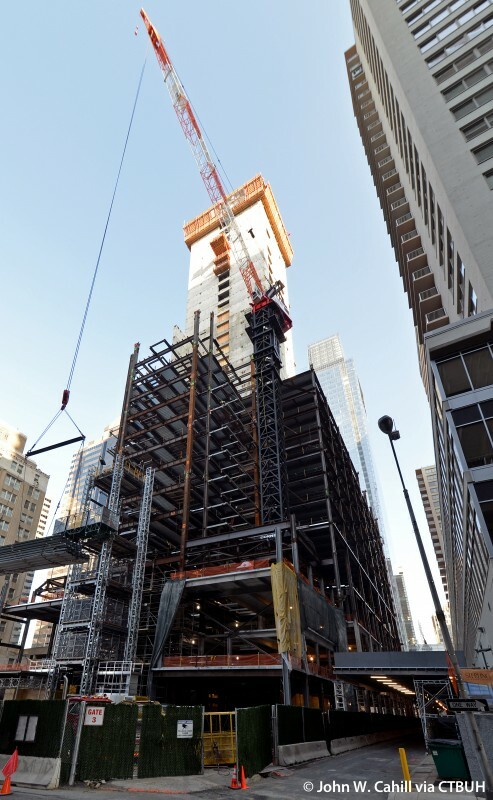 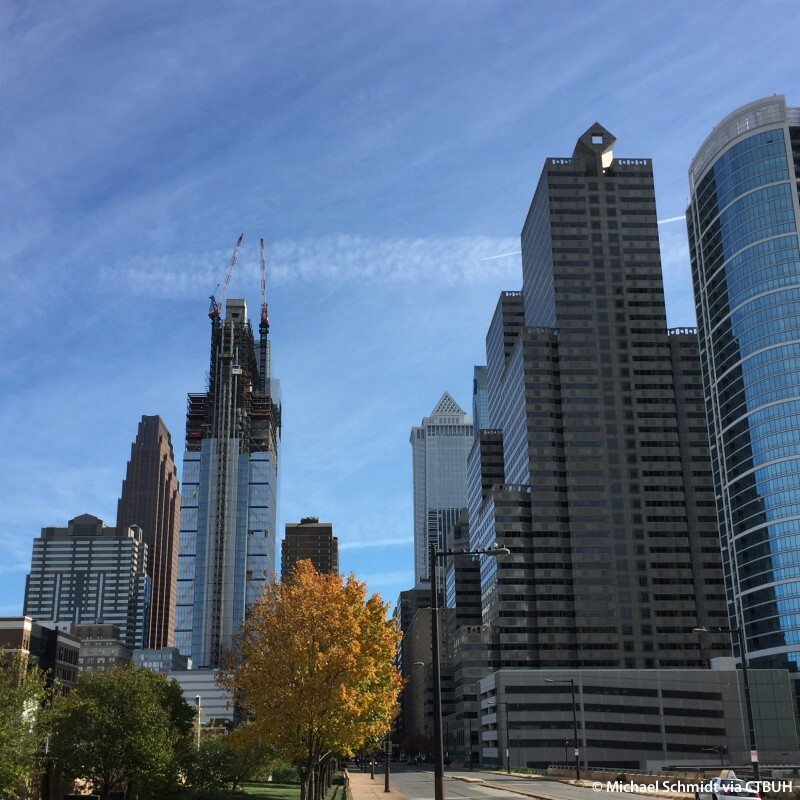 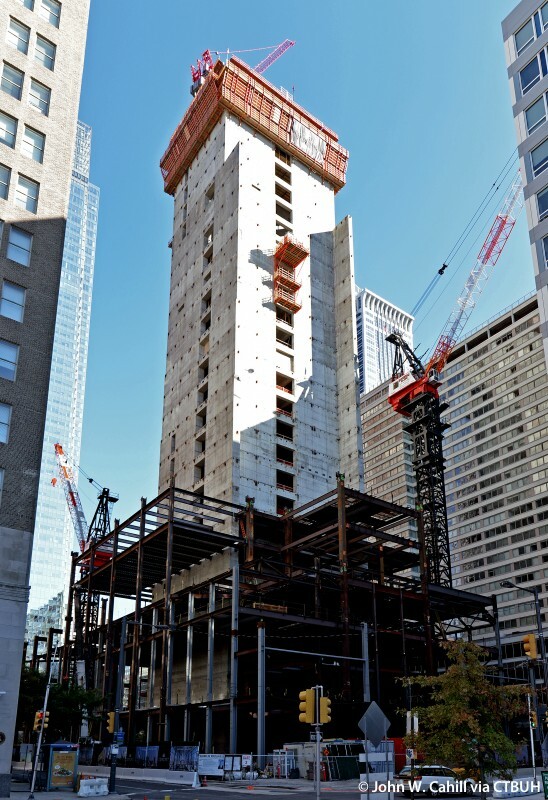 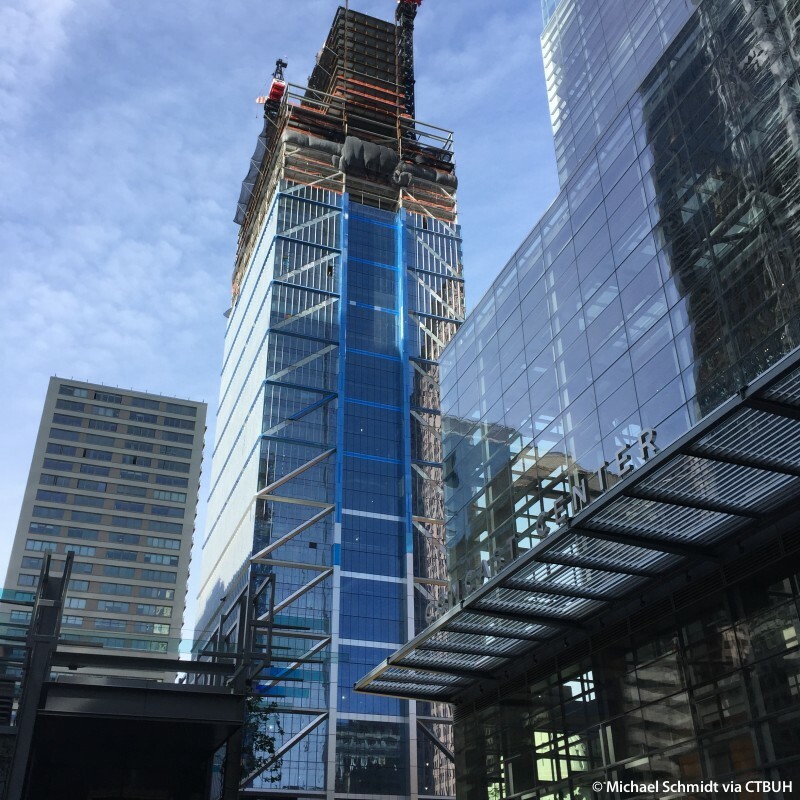 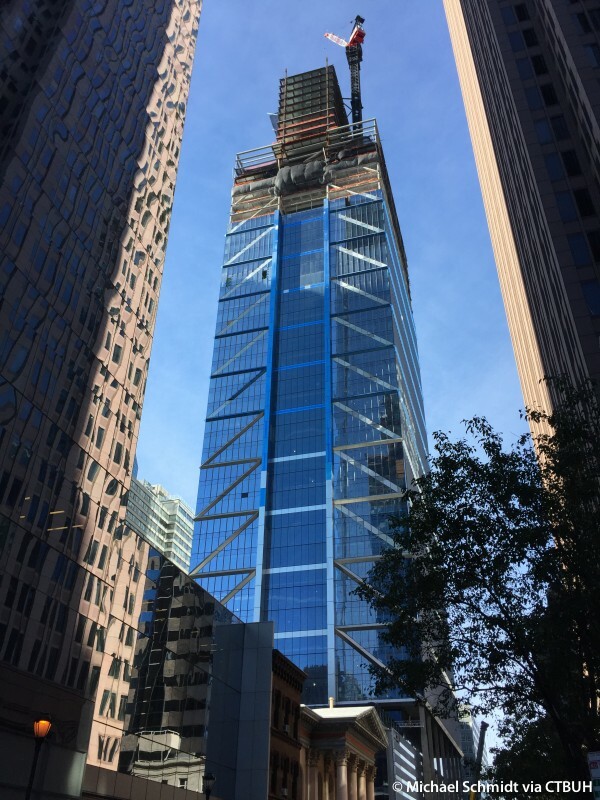 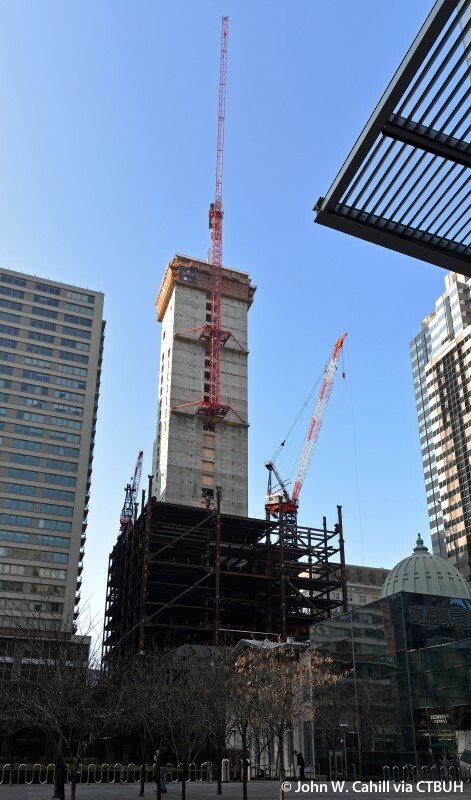 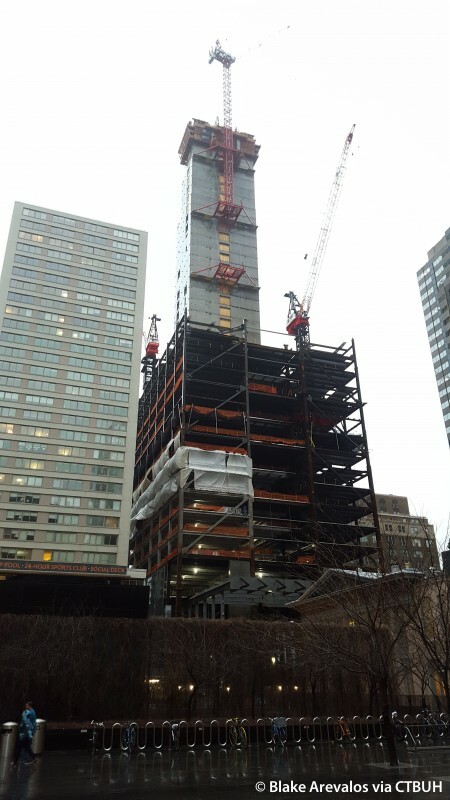 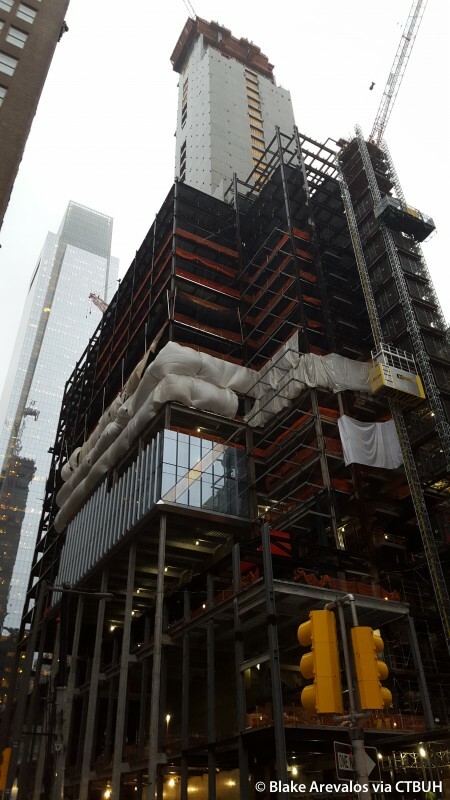 Built as a companion structure to the Comcast Center, the Comcast Technology Center will soar above the city’s skyline as the tallest building in Philadelphia, upon completion. 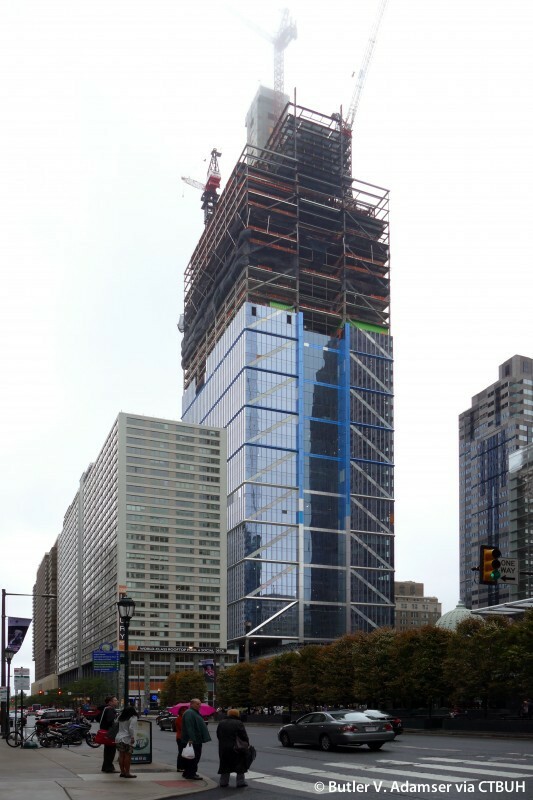 The centrally located site lies between the residential and social hub of Rittenhouse Square and the cultural district around Ben Franklin Parkway. 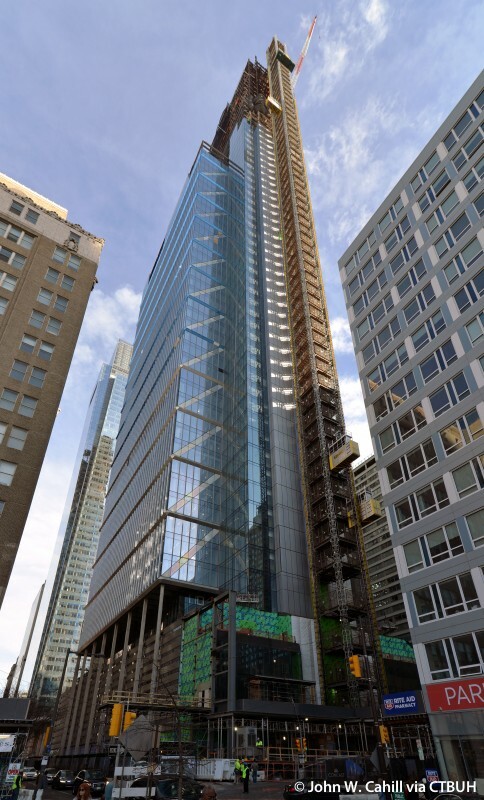 The mixed-use structure features a concrete central stepping core, a steel frame and deck, and a unitized curtain wall system with stainless steel screen cladding. 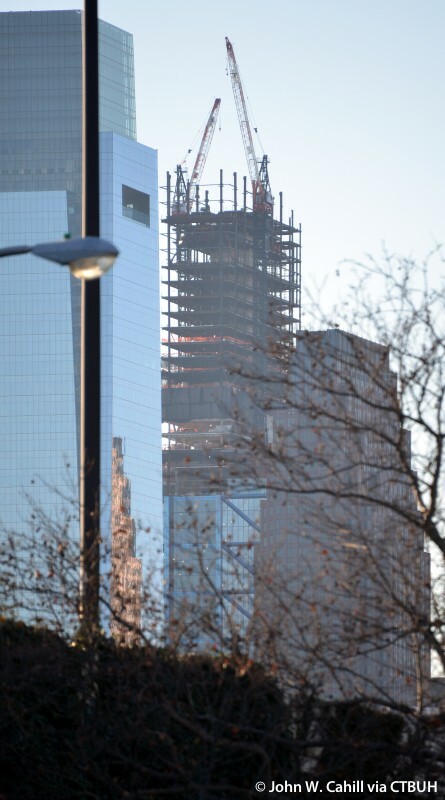 The core is split, creating a visual axis through the building to Comcast Tower and a clear orientation spine. 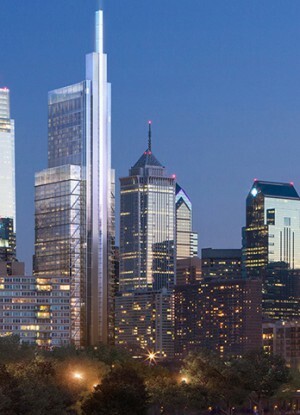 This central column is articulated at the top of the building with illuminated glass beams, which extend 38 meters above the tower, adding a dramatic presence to the skyline. 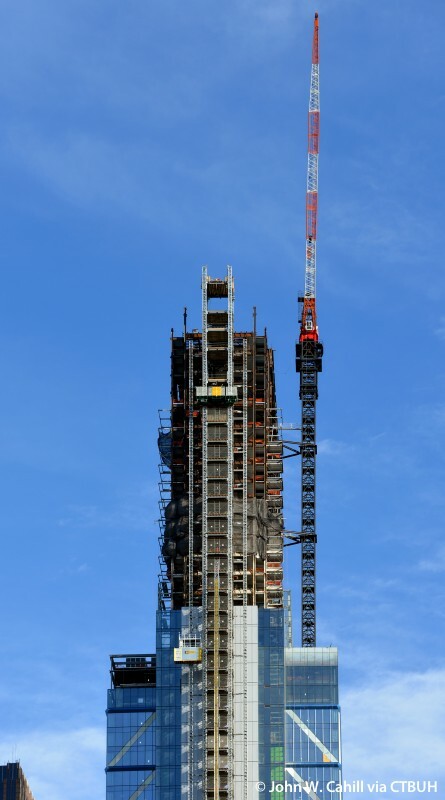 The tower is vertically stepped, with state-of-the-art television studios for NBC at the base, and a 12-story hotel above. 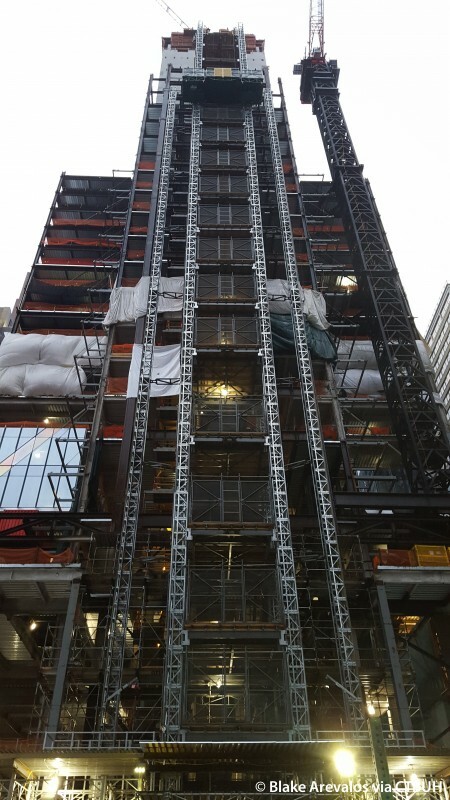 The modern offices have large, open floor plates that offer tenants a great deal of flexibility in terms of how to organize their space. 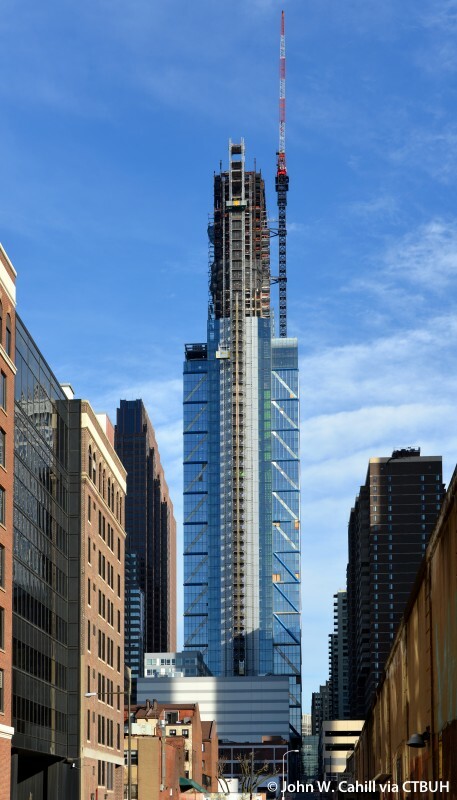 The tower’s façades are adorned with a series of thirteen three-story sky gardens, which elegantly draw a continuous strand of vegetation through the building. 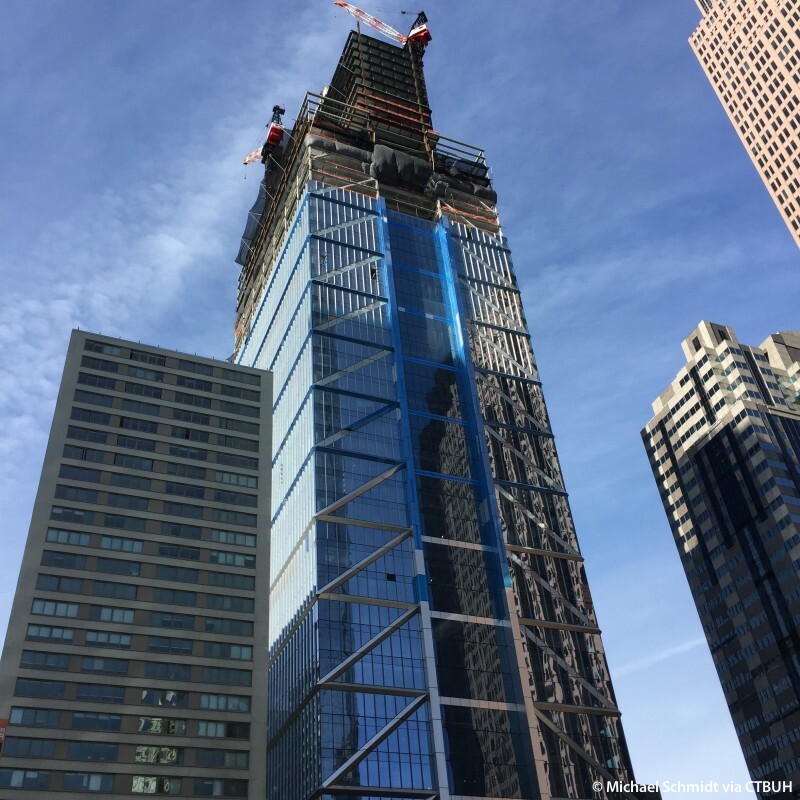 Of special note, elevator services are built into the exterior at the corners of the building, flooding the glass elevator cabs with natural light and exposing them to views of the city. 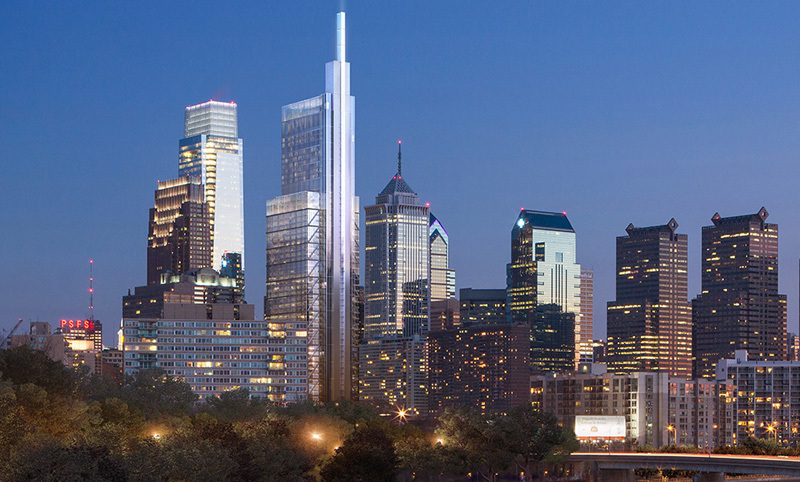 With special consideration given to Philadelphia’s climate, the project is expected to achieve LEED Platinum certification. 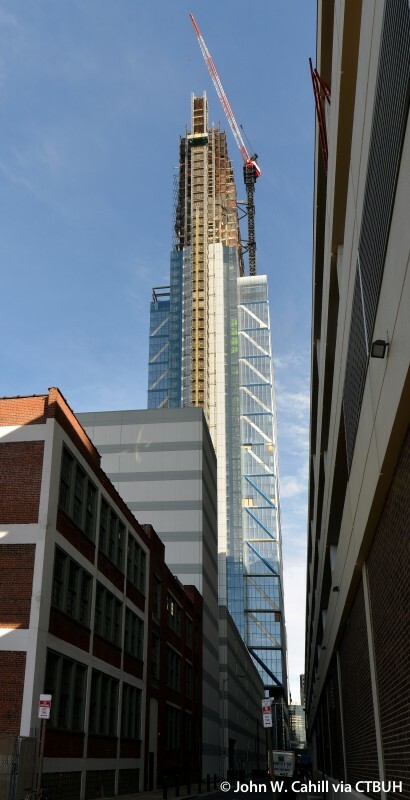 The scheme takes advantage of the city’s temperate spring, summer, and autumn to welcome as much daylight as possible, and incorporates a chilled beam system to help cool the interior. 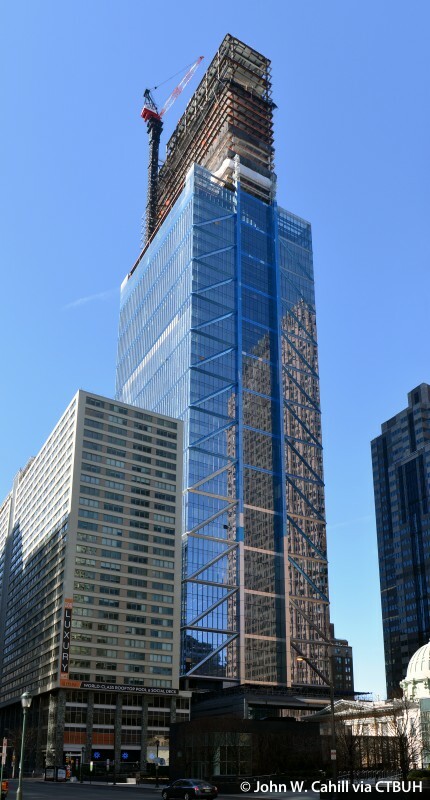 The building’s structure and podium shelter the outdoor spaces, protecting Comcast Plaza from harsh winter winds.